Do you enjoy a nice, relaxing massage? Of course you do! People suffering from pain or tension experience significant benefits from massage therapy. But it can be expensive and there isn't always time to fit it into your schedule. 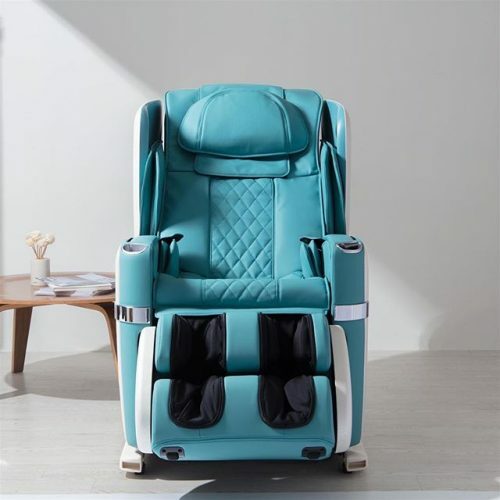 Massage chairs, however, offer many of the same advantages and make use of similar techniques as massage therapists do. And you can enjoy it right in the comfort of your own home. There are many benefits of a massage chair. Let's take a closer look at five of them that you might not have known about. Endorphins are an important chemical your body releases to combat stress and ease pain. Studies over the years have confirmed that sitting in a massage chair encourages the release of these hormones. You'll experience an elevation in your mood and a decrease in anxiety and depression. Unwind after a stressful day with a stint in your massage chair. It will not only relax your muscles, it will relax your mind as well. The muscles in your spine and neck experience fatigue as a result of being stuck in the same, unnatural position for most of the day. Your body attempts to compensate by modifying its posture to redistribute the tension. You end up experiencing pain -- sometimes a debilitating amount -- in your neck, back, shoulders, and legs. Allot regular time in your massage chair and undo many of these effects. Help restore your posture while alleviating pain. Massage therapy increases your body's number of lymphocytes, the cells involved in the immune system. The world we live in is so fast-paced. Our immune systems are often overworked and undervalued as we move from task to task, exposing ourselves to all kinds of pathogens. Taking time out of your day to reenergize your body's ability to fight sickness and disease will keep you healthier and help you recover more quickly. A massage chair is a smart and convenient investment that will help you achieve this. Have you ever felt a little flushed after a massage? This happens because the process of getting a massage causes increased blood flow, heating up your skin. The improvement in your circulation stimulates new cell growth, damaged cell repair, and a general increase in the health of your skin cells. Massages can also cause you to sweat, which helps your body release toxins. Experience these same benefits from the comfort of your home in your massage chair. One of the lesser-known but important benefits of a massage chair is aiding in digestion. Your massage chair promotes greater blood circulation through all of your body, your digestive system included. More nutrients are absorbed from the intestinal tract, helping prevent infections, constipation, gas, and bloating. Massages also activate the parasympathetic nervous system, which boosts digestion. Invest in yourself and your health with a beautiful and comfortable massage chair. Whether you're looking for pain relief or just relaxation, you'll experience unexpected benefits that make you love your chair more every time you use it. Make regular massages a part of your wellness routine. You'll be glad you did. Have a question or comment about a product? We'd love to hear from you. Contact us and get on the road to comfort today.